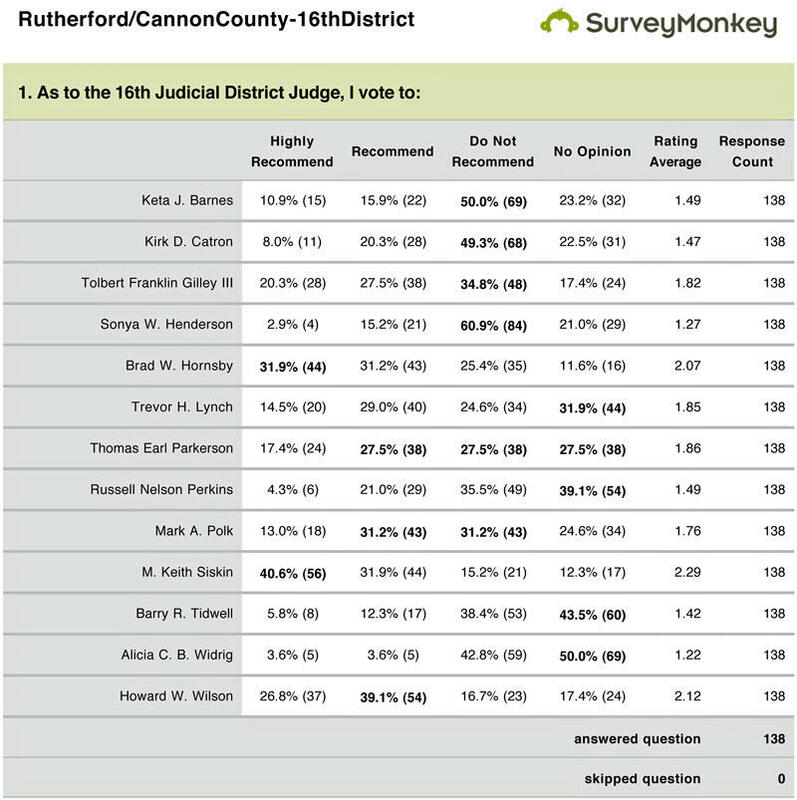 The Rutherford/Cannon County Association today released the results of a member poll for the vacancy in the 16th Judicial District, which serves Rutherford and Cannon counties. The vacancy was created by the appointment of Circuit Court Judge Don R. Ash as Senior Judge. “The purpose of the poll is to provide the Commission, the Governor and the public with input from attorneys who are likely to know these candidates, both personally and professionally, and are able to express an opinion on their qualifications to be a judge,” said Diana Burns, President, RC/CBA. A survey ballot was conducted online. The lawyers were asked to comment as to each of the candidates in one of four ways: “Highly Recommend,” "Recommend," “Do Not Recommend,” or “No Opinion.” All bar members are polled and the results are reported as raw ballot results with no attempt to extrapolate the results.